Inequality is not just about the size of our wallets. It is a socio-cultural order which, for most of us, reduces our capabilities to function as human beings, our health, our dignity, our sense of self, as well as our resources to act and participate in the world. This book shows that inequality is literally a killing field, with millions of people dying premature deaths because of it. These lethal effects of inequality operate not only in the poor world, but also, and increasingly, in rich countries, as Therborn demonstrates with data ranging from the US, the UK, Finland and elsewhere. Even when they survive inequality, millions of human lives are stunted by the humiliations and degradations of inequality linked to gender, race and ethnicity, and class. But this book is about experiences of equalization too, highlighting moments and processes of equalization in different parts of the world - from India and other parts of Asia, from the Americas, as well as from Europe. South Africa illustrates the toughest challenges. 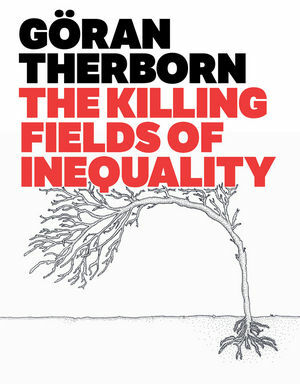 The killing fields of inequality can be avoided: this book shows how. Clear, succinct, wide-ranging in scope and empirical in its approach, this timely book by one of the world’s leading social scientists will appeal to a wide readership. Göran Therborn is Professor Emeritus of Sociology at the University of Cambridge and author of The World: A Beginner’s Guide. "Covering the world, Göran Therborn shows how devastating are his three types of inequality (vital, existential and resource) and their mechanisms of reproduction (distanciation, exclusion and exploitation). Lucid, persuasive and learned The Killing Fields of Inequality is a must-read for those concerned about the most pressing topic of our time." "A great book. With a light touch, it provides a brief but comprehensive survey of all the main dimensions of inequality. Written with insight, commitment to social justice, and ability to see what matters, it becomes a book about social progress itself. It ends with a perceptive discussion of the next steps towards a more egalitarian future."